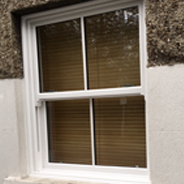 Sash window installations is a task that is recommended you hire a fully qualified company to do in you home. This is because a poorly installed window affects the security of your home. 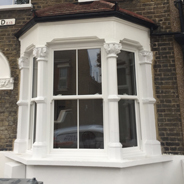 Easiglaze offer our sash window services to you where we offer specially trained sash window installations to everyone who lives in and around East London. Our Sash window installations are installed in a way which doesn’t jeopardize the safety of your home. We install them with the intention of keeping your home as safe as possible, which gives you something less to worry about. Sash window installation is a task that needs to be handled with the utmost of care, by experienced experts, which is why we at Easiglaze only hire and train the best professionals. Installing sash windows is a task that you’ll need to go to a company that you can trust, as they’ll be working inside and outside your home. The team at Easiglaze has been working with homes in East London for years, which is why we believe we are the company for you. Once our team have installed your Sash Windows, they will complete a full post assessment of the installation, checking the security, the fit, if there are any gaps that shouldn’t be there, and any finishing touches. We do this because we like to build a relationship that is based on trust between our clients and ourselves. 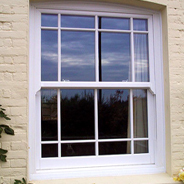 Our Staff make it their aim to give you a top quality Sash window Installation for your home. We can help you pick out the window style that will work well with the current theme of your house, and we’ll make sure everything is in perfect working order before we leave. 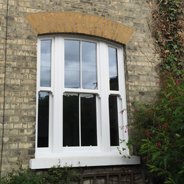 Our staff will answer any questions you may have on Sash Windows and Sash window installations. We’ll also make sure that you’re fully informed before we carry out any work on your home. Easiglaze is a professional FENSA registered business based in Billericay and covering all of Essex and East London, which has more than 25 years experience in the double glazing industry. The company offers quality double glazed windows and doors, and a service to match - at very competitive prices. The company offers quality double glazed windows and doors, and a service to match - at very competitive prices. It specialises in a range of different products including 'A' rated windows, patio doors, porches, composite doors, bifold doors, bay windows and sash windows. Easiglaze also offers fascias, soffits and guttering, giving customers a virtually maintenance free home. The local double glazing experts are passionate about quality and are committed to customer service and support, both prior, during and following installation. It offers free no obligation quotations on all of its work, as well as expert advice in helping customers choose the best product to meet their needs. A 10 year insurance backed guarantee is available on all installations. Make your home safe and warm with Easiglaze. All windows 'A' rated for a limited period. 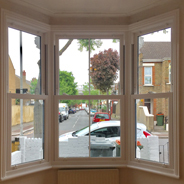 Easiglaze offer our sash window East London services to all areas of East London. These areas include: Canary Wharf and Isle of Dogs, Shadwell, Wapping, Bethnal Green, Bow, Mile End, Shoreditch, Stepney Green, Whitechapel, Clapton, Dalston, Hackney, Homerton, Leyton, Leytonstone, Stratford, Walthamstow.